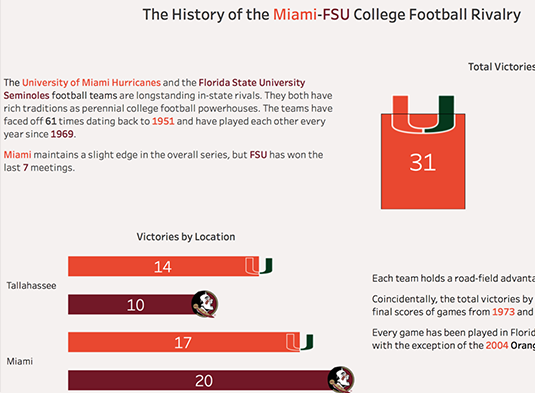 Our talented Senior Consultant, Brent Johnson, made the following interactive infographic. It chronicles the college football rivalry between his alma mater, The University of Miami, and Florida State. Any questions regarding this visualization can be sent directly to brentjohnson@analyticaconsulting.com.